Ilayathalapathy Vijay’s starrer Jilla film is currently in its third schedule of shoot at fast pace. 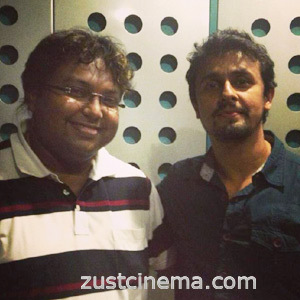 Here is the latest update is that Sonu Nigam has crooned for a song in the film. of a song with Sonu Nigam in Chennai. This song is said to be a melodious one for the which the lyrics are penned by Parvathy. Mohanlal is playing an important role in Jilla and Kajal Agarwal as lead actress in this bilingual film. Nesan is debuting as director with this film and RB Choudary is producing Jilla under Super Good Films banner.